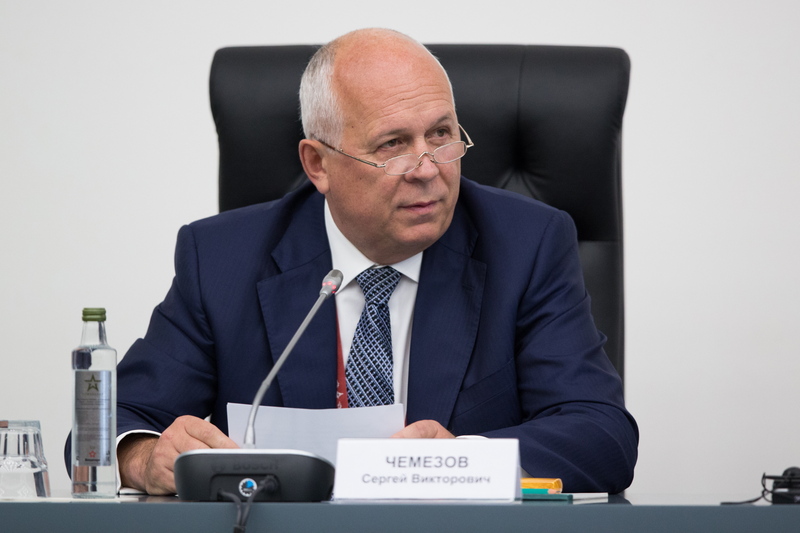 Sergei Chemezov, the CEO of Rostec. Sergei Chemezov, the CEO of Rostec and close aide to the Russian President said Russia, which was pitching for more defence deals with India soon, had been an ally who had always stood by India. Russia, which has signed deals worth over $12 billion after the annual Russia-India summit held earlier this month, hopes to finalise a few more major projects shortly. The defence deals signed include India’s lease of a second nuclear submarine, purchase of five S-400 ‘Triumf’ missile defence systems, four frigates and joint manufacture of the Ka-226 helicopters. As it pitches for more projects, Russia is calling itself not just a business partner but an "ally" who has always stood by India, including during its "darkest hours". Among the new deals Russia is pushing is a multi-billion dollar deal for the P75-I project, in which six conventional submarines are to be built with Air Independent Propulsion systems. It is also looking at India’s next aircraft carrier project, along with a deal to jointly develop a fifth generation fighter aircraft (FGFA). A top Russian defence official claimed the US and Europeans could never provide India what Russia can and has given and offered. Asserting that there is no limit to what Russia and India could do together, SergeiChemezov, CEO of Rostec State Corporation, said, "We are ready not just to deliver most serious weapons, most important weapons but continue to give our state of the art technology." said, "Russia is a friend, an ally and not a business partner. Russia stood by India during its darkest hours. Next year will mark 70 years of our relationship. It is a long time," he said, noting that Russia had stood by India when it faced sanctions after the 1998 nuclear tests. "In the not so recent past, when India was under sanctions, we were pretty much the only partner for India,” said Chemezov. "Russia has been a partner not only in every day military supplies but also most sensitive and most important supplies including a nuclear submarine which was rented to India for its use," said Chemezov who is also a close aide of Russian President Vladmir Putin. "Come to think about it, I would not imagine any other country to do that”, he said. Not in the past or in the future. I cannot imagine US or Europe giving India such a strategic asset," he said when asked about the tough competition that the US and Europe are giving to Russia in the Indian defence market. Not only did Russia lease out a nuclear powered submarine, it actively helped in the building of India's first indigenous submarine capable of carrying nuclear weapons, the INS Arihant, which has been inducted into the Indian Navy and is undergoing final sea trials. Chemezov said "it is a very special year for us and will be marked by major projects and things are starting already." However, he did accept that, from one point of view, there may have a slight decline in some areas of military technical collaboration between the two countries. The United States and some European countries have managed to strike mega deals with India which Russia was also competing for. But, he said, the brief period of lull was past. "It is not a linear sort of relationship. We feel that ties are definitely developing and increasing," Chemezov said. Chemezov gave the example of the deadly BrahMos missile. Not only has Russia delivered high value equipment but it has also collaborated with India on developing strategic assets, he said, pointing out that, also in the late 1990s, Russia had transferred technology for the Su 30 MKI, India's frontline fighter aircraft. "At that point of time, it was our most modern equipment, our most modern airplane. When we had actually signed that agreement, Russia did not even equip its army with this. "This was basically our newest highest technology. That shows and speaks about our relationship with India," he concluded.